Inda Colorella Toilet Roll & Brush Holder£211.62 inc.VATRRP: £282.16 (Save 25%)This freestanding bathroom accessory combines your toilet roll holder with your toilet brush in one piece. 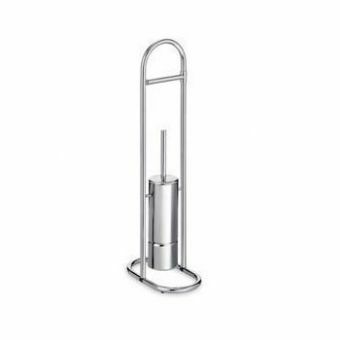 Free DeliveryPerrin & Rowe Traditional Pivot Bar Toilet Roll Holder£120.00 inc.VATRRP: £150.00 (Save 20%)Traditionally styled paper holder in chrome, pivot arm on a hinge makes changing the roll easy and quick! 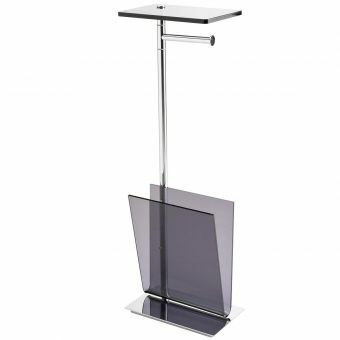 Inda Avenue Stand with Paper & Magazine Holder£416.30 inc.VATRRP: £555.07 (Save 25%)Sleek design, useful floor-standing set with a shelf, toilet paper holder and magazine storage section. 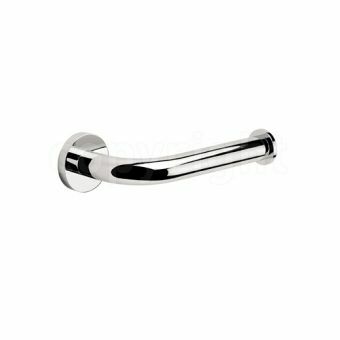 Inda Storm Chrome Toilet Roll Holder£31.55 inc.VATRRP: £42.07 (Save 25%)Open style toilet roll holder in polished chrome, with a stop-end to hold the roll in place neatly. Inda Forum Toilet Roll Holder£31.55 inc.VATRRP: £42.07 (Save 25%)Open style for easy use, no messing about putting a new toilet roll on the holder! Circular wall plate at the base. 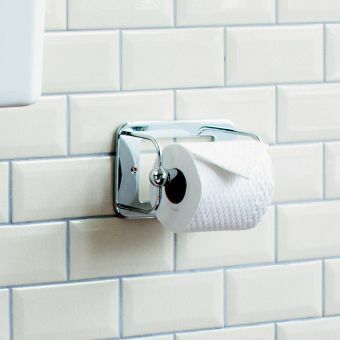 Inda Gealuna Toilet Roll HolderFrom £49.60 inc.VATRRP: £66.12 (Save 25%)Minimal open style allowing for a quick toilet roll refresh, with handy stopper nodule on the end of the bar. 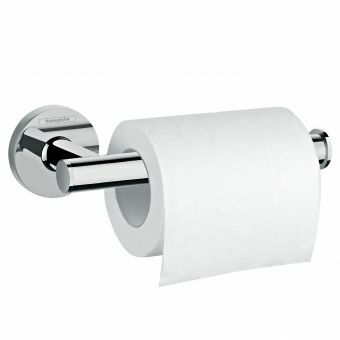 Inda Lea Toilet Roll HolderFrom £36.85 inc.VATRRP: £49.14 (Save 25%)Modern squared design, simple and stylish. Compliments the rest of the Inda Lea range of accessories. Inda Hotellerie Recessed Toilet Roll HoldersFrom £71.82 inc.VATRRP: £95.76 (Save 25%)Choose from a single or double toilet roll holder, designed to be recessed away into the wall neatly. Things have moved on a lot since the days of the brittle plastic or wooden toilet roll holder, today we have a massive selection which you can see on this page. The choice we offer is wide and very varied, with over 100 different styles available from top brands. The variation is free standing or traditional wall fixed in chrome ceramics or even contemporary artistic shapes, as well as some delightful retro styling to fit into you Victorian or Edwardian bathroom. 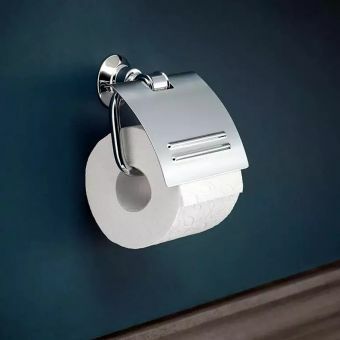 For the person who has a small amount of DIY skills, simple enough to use a patented adhesive system that provides the strongest non-drill solution available for your toilet roll holder. They are suitable for use on ceramics, porcelain, glass, laminates, wood, metals, brick and natural stone. There are six items to see and these are and manufactured to the highest German specifications and are guaranteed not to rust. 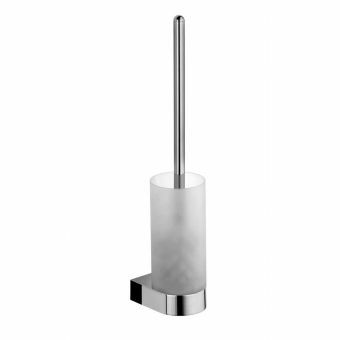 A really useful design is the Inda toilet brush holder which can hold a spare toilet roll on the chrome brush handle. 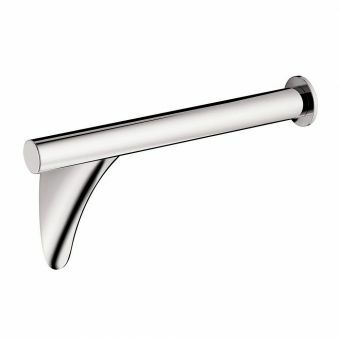 Also at the Inda accessories page is a very useful and neat double toilet roll holder in high chrome finish. 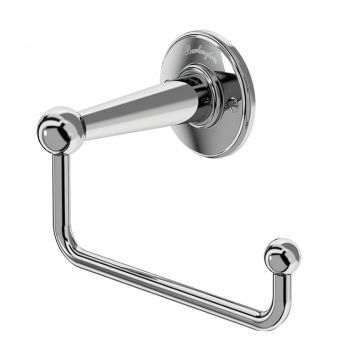 Looking at the retro or traditional ranges the Imperial Henley toilet roll holder is a classic and highly appealing holder which is available in chrome or antique gold finish and has a toughened glass support for the toilet rolls. As part of the Imperial Henley range this comes with a five year guarantee in common will all the Henley range of products. It’s the little things which make all the difference, especially when it comes to your bathroom. If you’ve gone for a high quality suite, you’re sure to want to want to continue the premium look and feel when it comes to your bathroom accessories. Whether you’re looking at lighting, mirrors, taps or towel racks, you’ll want something which fits with the image you have of the ideal bathroom. 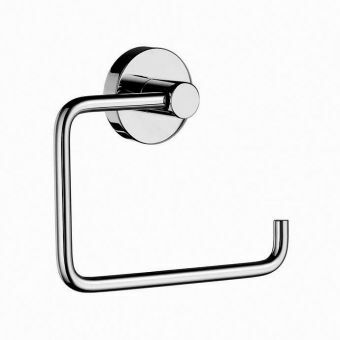 Investing in top quality, well manufactured pieces to accompany your suite is the perfect way to finish off your personal relaxation haven, so why deny yourself the best bathroom accessories? 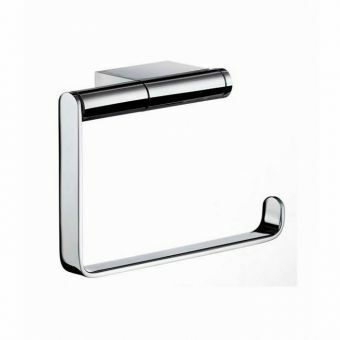 UK Bathrooms can supply exquisite bathroom accessories to you at a price which is sure to put a smile on your face every time you step into your bathroom. 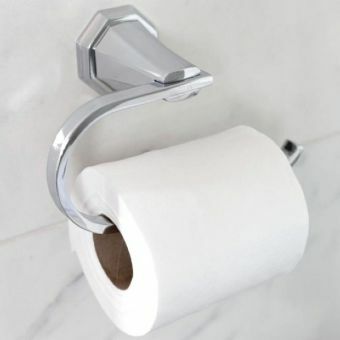 Often overlooked, the toilet roll holder performs a vital function, which is why we insist on providing only ranges which have proven their premium credentials. 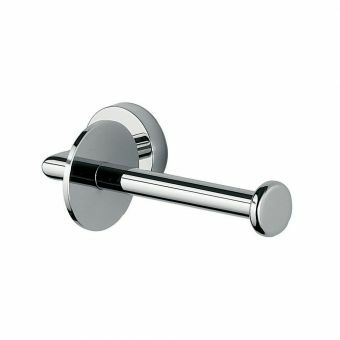 UK Bathrooms stock a large range of toilet roll holders, all made by well-respected providers of bathroom accessories. 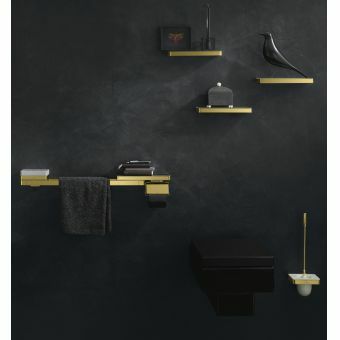 We stock the best products from the world’s top manufacturers, because we know that’s what you want for your bathroom. 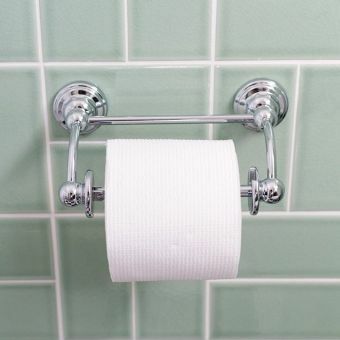 All you need to do is decide upon what makes the right toilet roll holder for you. Styles range from classic, to contemporary, in a range of different materials. Some are wall mounted, while some form part of a floor standing feature. 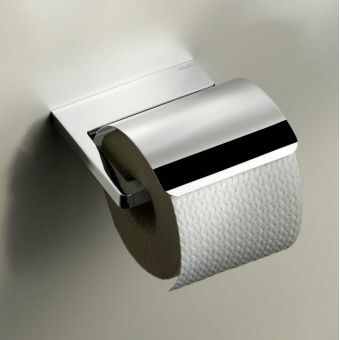 You can choose a horizontal or vertical orientation, with or without a cover, and perhaps even with a matching spare roll holder. Once you’ve made your decision, all you need to do is look through our extensive collection and choose something which matches with your bathroom suite, to create the perfect co-ordinated look. 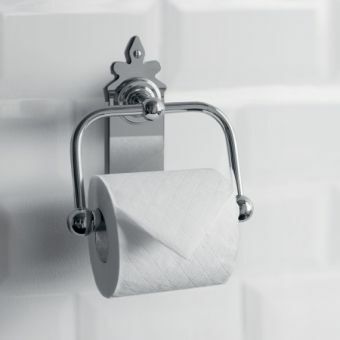 At UK Bathrooms, we endeavour to bring you a huge range of toilet roll holders from some of the world’s most respected and envied brands. 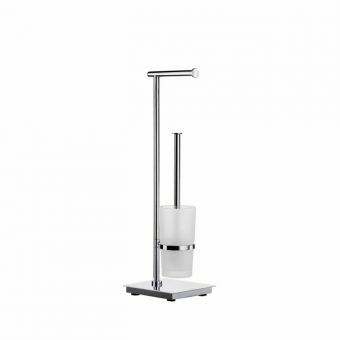 Our customers expect products from influential companies such as Hansgrohe, Keuco and Smedbo, so we stock their products and know them extremely well. In order to help you make your decision, this buyers’ guide will hopefully provide you with a little extra information about the brands we stock. We’re sure you’ll agree that every one of them deserves its place in our catalogue. While we won’t tell you which produce to buy, we’ve included information and recommendations which we hope will allow you to make an informed decision. Established in 1936, Grohe was started by German Friedrich Grohe, who wanted to bring a range of inspiring contemporary designs to the market. Precision crafting and rigorous testing remain at the heart of Grohe’s values, ensuring that the customer receives a product which will last them for many years. Now a popular choice for both kitchen and bathroom accessories, you can be sure that Grohe products are still manufactured with that enviable German efficiency, and stunning market leading designs. If you’re looking for timeless elegance, Grohe’s “Essentials” range is sure to catch your eye. 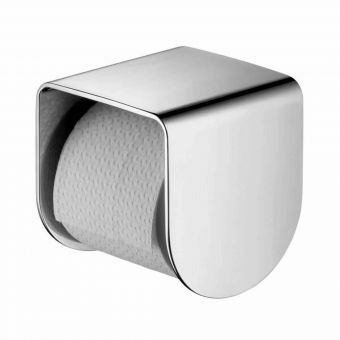 Offering a blend of modernism and minimalism, this covered toilet roll holder offers clean lines and no superfluous details, meaning it will fit in with any décor. 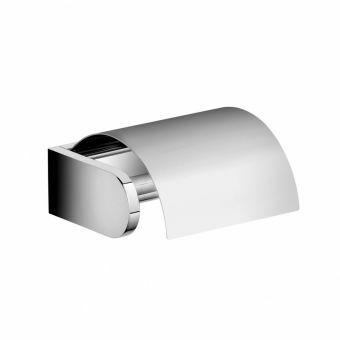 Of course, for something different and very modern, Grohe’s Allure toilet roll holder offers a flat arm, with a clean, chrome finish. 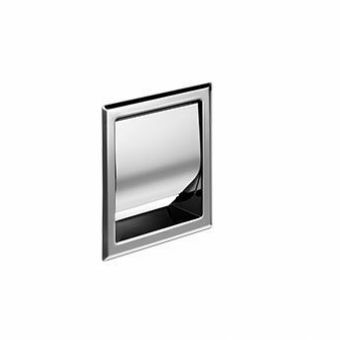 With no signs of fixtures or fittings, this smooth chrome offering from Grohe would look fantastic in any modern day bathroom. You’d be forgiven for commenting on the similarities between the names of the Hansgrohe and Grohe brands. However, there’s a reason for this. Hans Grohe set up a plumbing accessories company in 1901, and inspired his son, Friedrich, to start his own plumbing accessory company. Friedrich called his company “Grohe”, and the two companies co-existed. Hansgrohe can be slightly more contemporary than Grohe, preferring to collaborate with designers to fuse modern technology with classic design that gives the user unbeatable function. 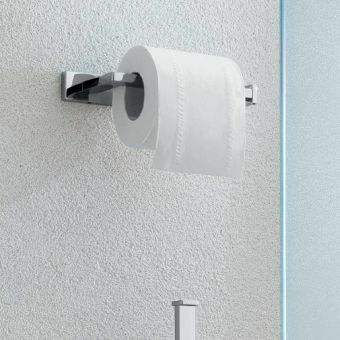 With this in mind, you’re sure to appreciate the appealing simplicity of the Axor Montreux, a fuss-free wall mounted toilet roll holder which can be as eye catching or unobtrusive as you’d like, making it perfect for any bathroom style. 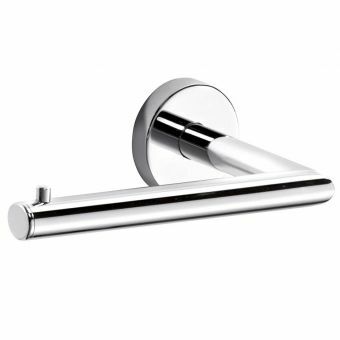 Scandinavia’s favourite bathroom accessory manufacturer, Smedbo is a popular choice in Europe and the USA. They offer a very extensive range, which ticks the boxes on many of our customers’ wish lists. Developed in a time when austerity was seemingly the only choice, Smedbo soon evolved to offer glamorous and luxurious styles, crafted from brass with solid coatings, and with focus on solid and reliable interior mechanisms. These days, their focus is on simplistic and minimal styles, which fit beautifully with the clean lines of today’s bathrooms. 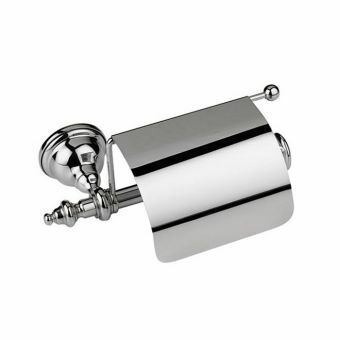 We’re proud to offer a huge variety of Smedbo’s toilet roll holders, meaning that there’s sure to be one to suit you. 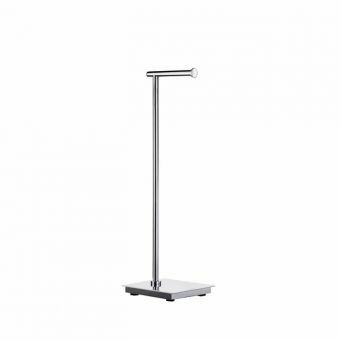 Also, many of Smedbo’s holders are available with or without covers, for example the Loft, Pool, Air and Cabin ranges, so you don’t need to compromise on your requirements when it comes to choosing between style and practicality. 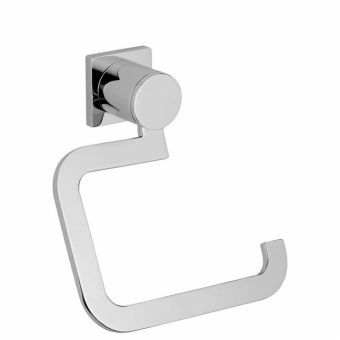 Choose from free standing or wall mounted, rounded or angular – there really is something for everyone’s modern bathroom. 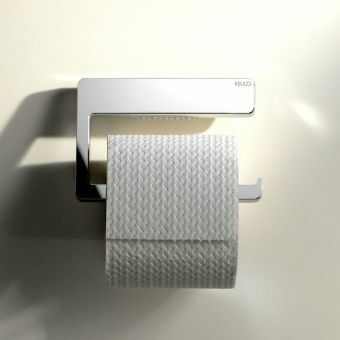 Keuco’s British headquarters means that they’re really in touch with what the Great British buyer wants from their bathroom accessories. Featuring sleek lines and geometric inspiration, Keuco’s designs are sure to be a talking point, and would not look out of place in a boutique hotel. If Keuco’s flat line and chunky metal are the look you’re considering for your bathroom, you could choose to go space age with Keuco’s Edition 400, or simple and traditional with the Plan range. 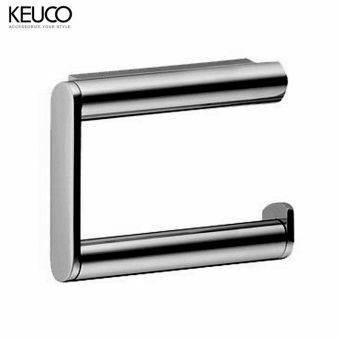 While Keuco don’t offer as many covered toilet roll holders as some of their brands, you can be sure that those they do offer, Elegance, Plan and Moll, maintain their glossy, solid surfaces. Imperial’s style is classic, old time elegance, taking inspiration from heritage designs. The timeless glamour allows them to feature traditional British style with the benefit of modern technology and engineering. Capturing the spirit of times gone by, the ageless designs from Imperial reflect British values of fine design and eternal elegance. 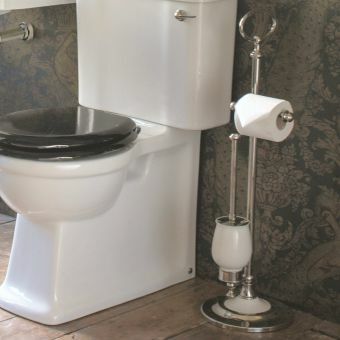 Taking their lead from the antique style embellishments of swirls, cones and domes, a bathroom accessory such as a toilet roll holder from Imperial Bathrooms can really be a statement piece which defines the style of your bathroom. Transport yourself back to simpler times with the help of Imperial. The Avignon, available both covered and uncovered, features a cloche style fixture to attach it to the wall, while the Istia’s art deco musical cleft style swirl functions as both a decoration and the clamp to which the arm attaches. Historically a supplier to cruise ships and five-star hotel chains, Inda is an Italian company which knows how to fuse durability with style. As you’d expect from a continental supplier, there’s an extra flourish which gives their products that little unexpected twist which you might be looking for. Since their original purpose was to supply the demanding tourism business, you can be sure that whichever Inda product appeals to you will be one which will give you years of service. 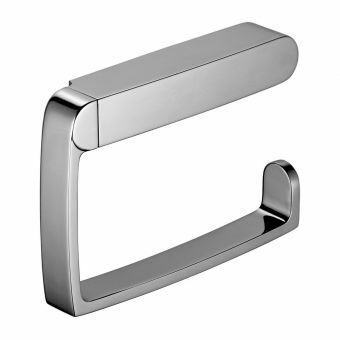 The simple, narrow metal rods of the Colorella or Gealuna range, the recess fitting Hotellerie range, or the boxy Inda Logic range are all so different and varied that you might wonder if they really were made by the same company. You only have to look at the names of some of the ranges offered by Crosswater to know that this is a company which offers quality. Often featuring rounded, cylindrical designs, Crosswater’s products have only been available since 1998, but made a huge impact on the market as they hand-pick the designers they wish to work with, ensuring that each range is unique and offers something different. As one of the few approved retailers of Crosswater, we’re thrilled to be able to bring you their Central and Zeya ranges, both in wonderfully glossy solid chrome. Choose Central for more rounded, circular accoutrements, and Zeya if you prefer straight lines and clear edges. 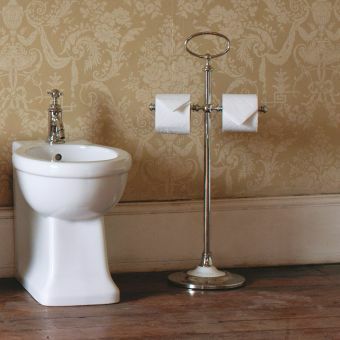 Inspired by the high times of the Victorian and Edwardian eras, Burlington’s bathroom accessories bring a touch of Old England into the modern bathroom. Their commitment to maintaining an authentic, period style selection of products ensures that the modern consumer can enjoy the style of yesterday, brought to them with the technology of today. Burlington is a premium brand because they refuse to use cheaper, modern materials in their products. 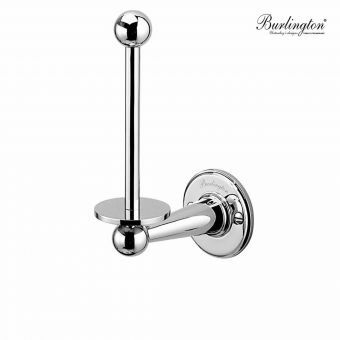 Smooth chrome finishes dominate Burlington’s products, and rounded edges topped with the signature silver globe shape ensure these wall mounted bathroom accessories maintain a unified appearance. 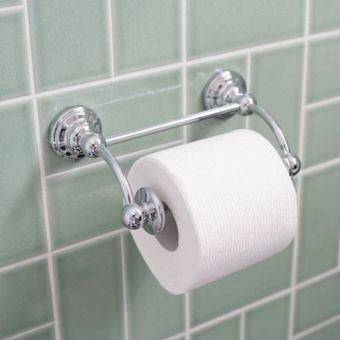 Of course, if you’d like something a little more opulent, try the Fleur de Lys style “Spire” toilet roll holder, which has a decorative peak at both the top and bottom. We hope that this short guide has helped you get to know some of our products a little better, and played a part in helping you choose the right bathroom fittings for your requirements. 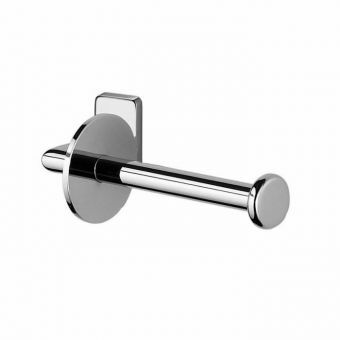 Whatever your personal style, you can be sure that UK Bathrooms have the right toilet roll holder to complete your set of bathroom accessories. 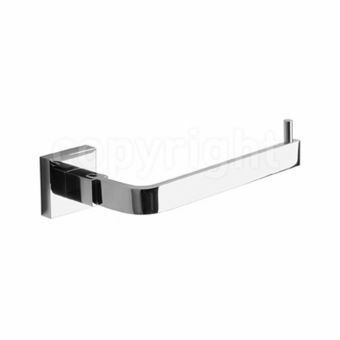 We appreciate the beauty of the small details just as much as you do, and we know that the choices you make about your bathroom accessories are those which will finalise its look. If, after reviewing our styles, you’d still like some expert advice, simply speak to one of our friendly advisors, who know our ranges inside out, and can advise on all aspects of bathroom fittings.